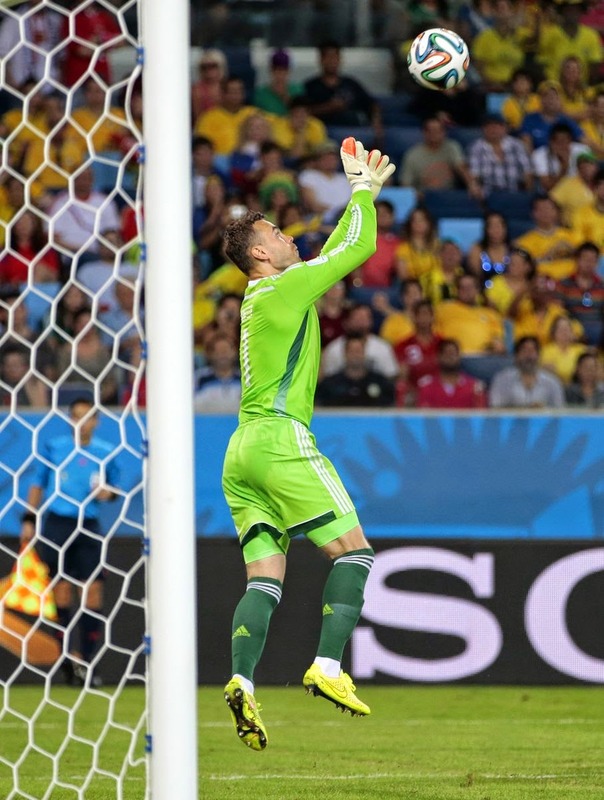 Blundering Russia goalkeeper Igor Akinfeev was bailed out by teammate Alexander Kerzhakov in a 1-1 draw with South Korea in the World Cup on Tuesday that exposed both teams' deficiencies. Akinfeev had already looked suspect in dealing with long-range shots before spilling Lee Keun-ho's speculative effort into his own net in the 68th minute, gifting South Korea the lead at the Arena Pantanal. Kerzhakov, though, came to Akinfeev's rescue by turning in a shot from close range six minutes later - just three minutes after coming on as a substitute - to earn Russia a point from a poor-quality Group H match. "It was a kid's mistake," Afinkeev said. 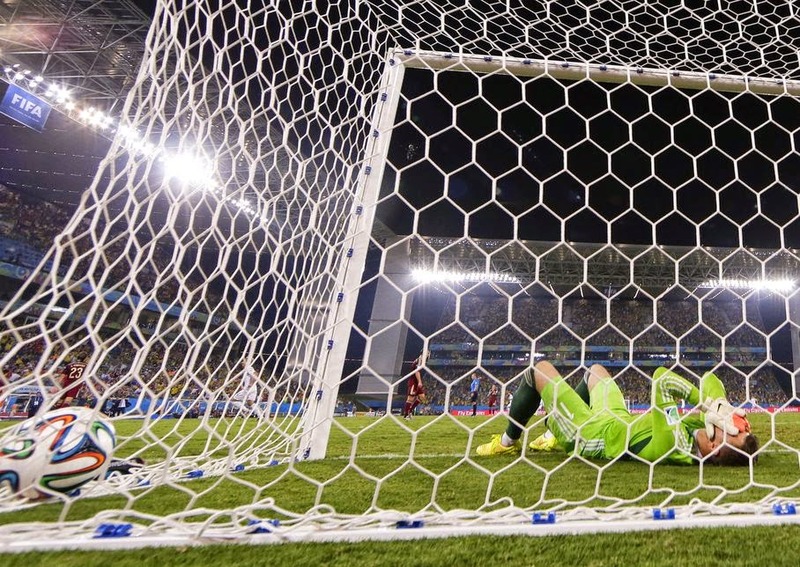 "The goalkeeper of the national team shouldn't make mistakes like this one." "He is a great goalkeeper," Capello said. "There can be mistakes, of course - some can get a penalty wrong ... and it's logical for a goalkeeper to make a mistake as well. "We were able to make up for that and we can accept a mistake by a great keeper like Akinfeev." There was no hiding their toothless attack here, either, with the experienced Park Chu-young starting as the lone striker but justifying fears that he has lost his way after three ineffective years with Arsenal in the English Premier League. He was substituted in the 56th and his replacement, Lee, scored South Korea's goal. Russia, led by former England coach Fabio Capello, was just as lifeless in attack - at least until Kerzhakov and Alan Dzagoev came off the bench - and too functional in midfield. A dire first half was marked by the large contingent of Brazilian fans in the crowd doing slow hand clapping but South Korea coach Hong Myung-bo was satisfied by what he saw. "In such a tournament, the first match is the most difficult," Hong, who captained the nation to the semifinals of the 2002 World Cup, said through a translator. "There is a lot of pressure on it so I thought the players played very well." However, South Korea couldn't hold on and when Dzagoev's cross-shot was spilled out by goalkeeper Jung Sung-ryong and defender Hwang Seok-ho's clearance went straight at Andrei Yeshchenko, Kerzhakov was on hand to bundle home from inside the six-yard box. "I thanked them for their reaction," said Capello, who turns 68 on Wednesday. "It was the greatest birthday present I could receive."